I have recently stumbled across a fabulous post and this recollection of a geographer using sound, and precisely whale sound, to make a contribution to attempts to rethink oceans in ways less dedicated to the older ‘resource extraction model’. The post also tells about the people who are attempting to do this. I found it inspiring to read, I hope you do too. This entry was posted in Uncategorized and tagged whales; oceans; blackfish; blue social life; oceanic science. on October 2, 2014 by felicity picken. 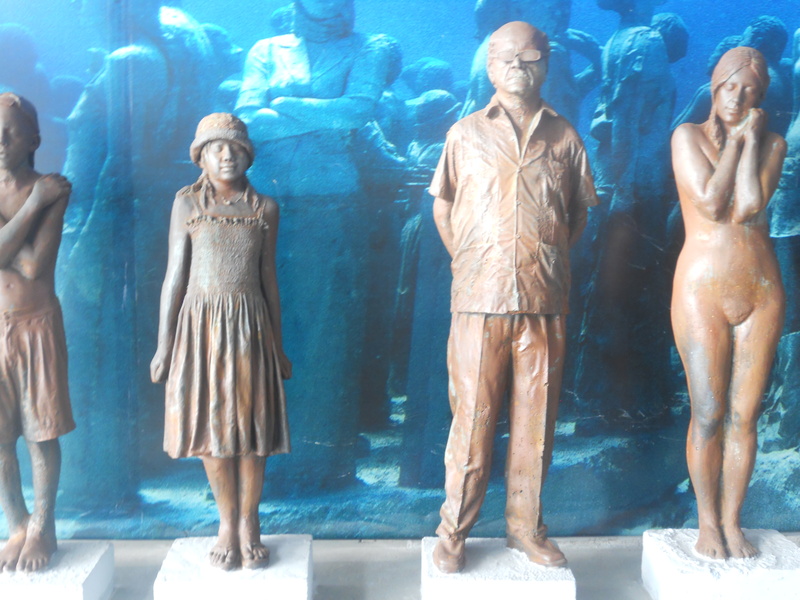 Over five hundred sculptures moulded from actual people to become a marine sanctuary make up MUSA between Cancun and la Isla Mujeres in the Gulf of Mexico. A truly remarkable and unique initiative featuring the work of diver, photographer and artist Jason de Caires Taylor. A must visit. This entry was posted in Uncategorized on September 6, 2014 by felicity picken.